It's Shakey's Time and I'm giving away Shakey's Monster Meal Deal GCs! And so it gives me great joy when my favorite food places make following our cravings a lot more convenient! 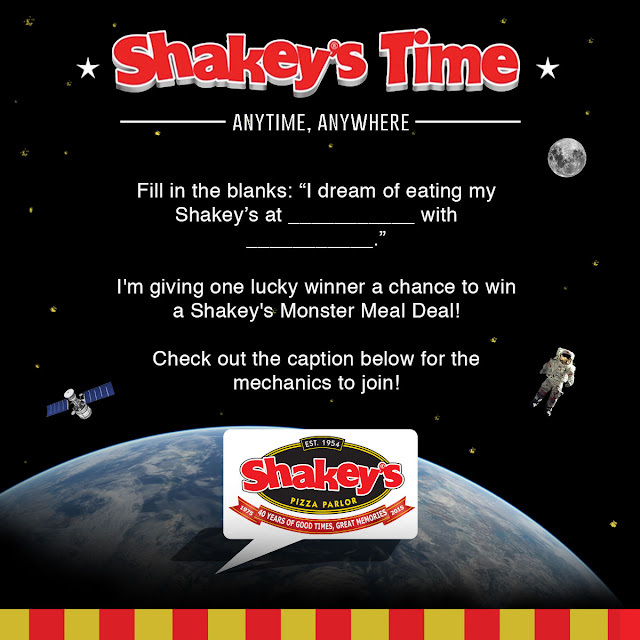 Case in point: Shakey's has made it easier for us to get our Shakey's fix anytime, anywhere! 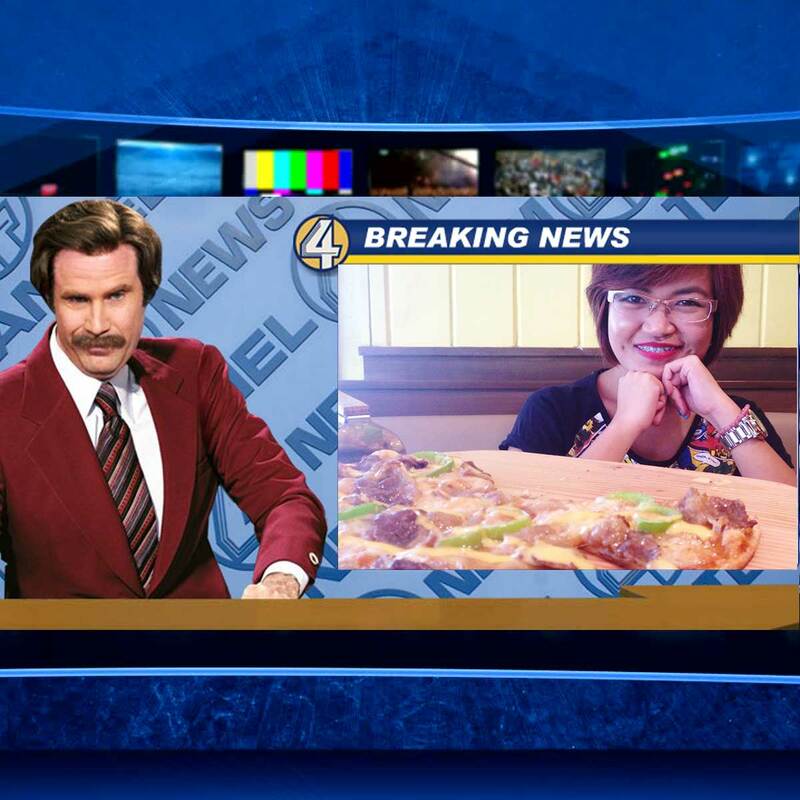 With the new innovations that my favorite pizza places has cooked up, it's Shakey's Time, All the Time! 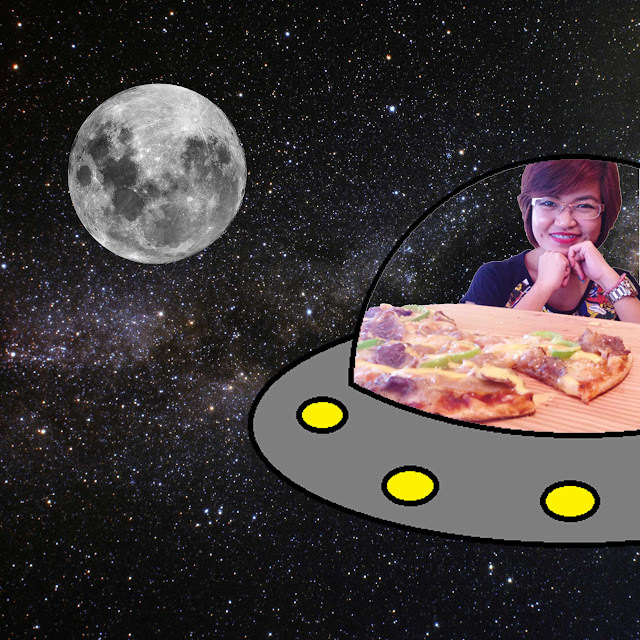 What is your favorite food item off Shakey's menu? Is it their mouth-watering Thin Crust Pizzas? Their most loved Chicken 'n' Mojos? Their Pasta? Or their desserts? As for me, give me a basket of Chicken 'n' Mojos, at least three slices of Angus Steakhouse Pizza, their Seafood Marinara Pasta, and a pitcher of their iced tea and I'll be ECSTATIC. It's good to know that I can get hold of these even without going to the nearest Shakey's store. 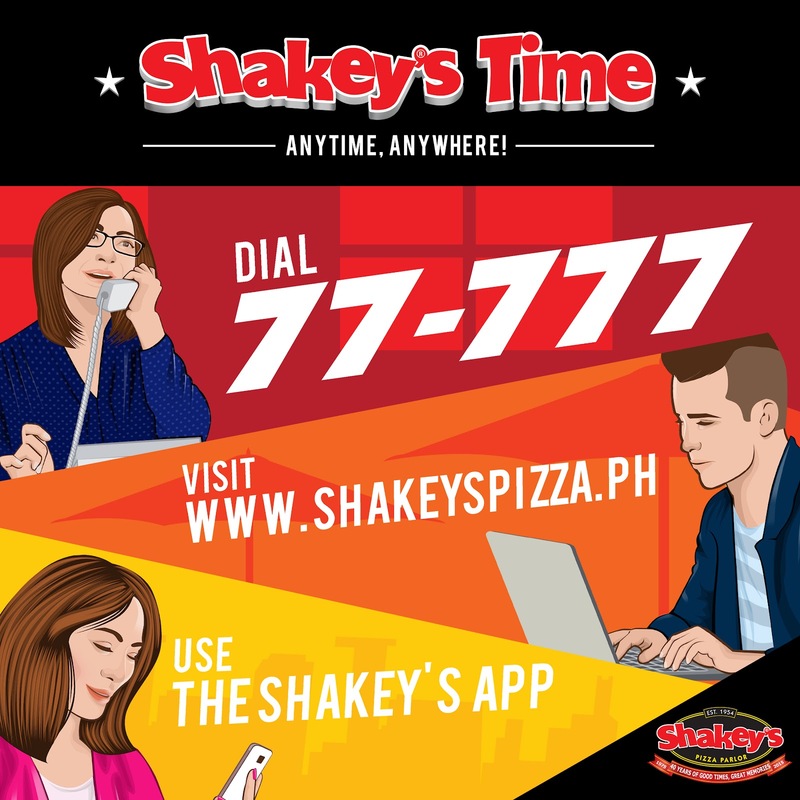 All I have to do is dial 77-777 OR order online thru www.shakeyspizza.ph using a computer or their mobile site OR tap a few buttons on the Shakey's mobile app, free to download from the Play Store and the App Store! 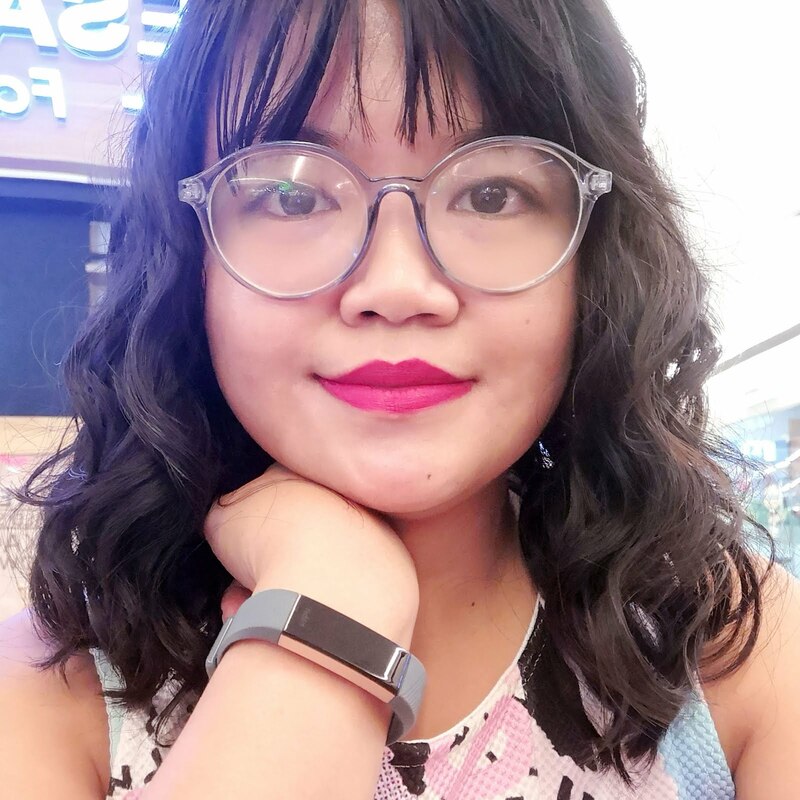 Now I'm ready to create Good Times and Great Memories with my food buddies anytime, anywhere! 1. Like and Follow Shakey’s on Facebook, Twitter, and Instagram. 2. Download the Shakey’s Mobile App on your mobile phone so you can have your Shakey’s pizza anytime, anywhere! 3. 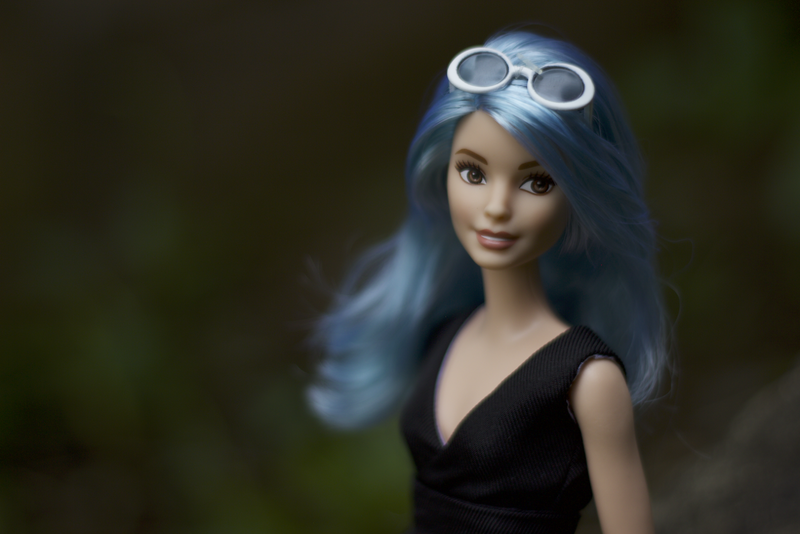 Follow Krissyfied on Facebook, Twitter, and Instagram. Got it? 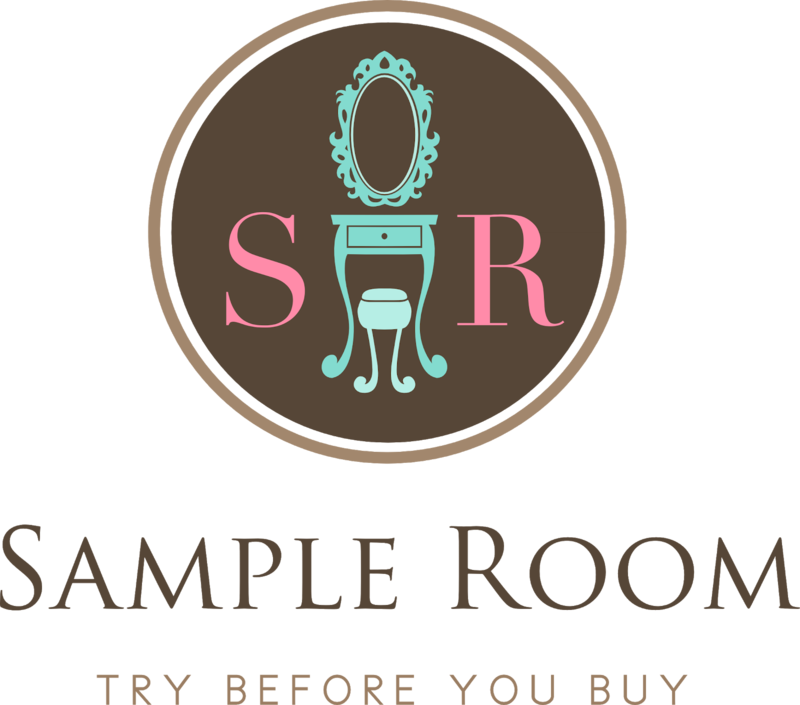 Here are some samples! Fun, right? This contest is open for everyone living in the Philippines so go get your creative thinking caps on and upload your photos! I will be choosing the best one on September 6! Good luck!